I'm packed and ready to leave very early tomorrow morning for Salt Lake City, Utah. Convention is always a great time and I'm sure this year will be no exception. My swaps are done and my gifts for my downlines have been given to Michelle and Debi. I'm sure you are wondering why the picture with this post. 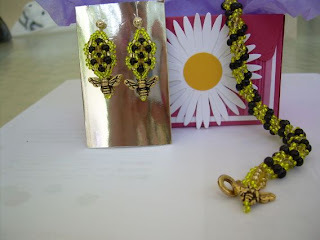 Well, Debi surprised me with earrings and a bracelet with bees. SHE MADE THEM ! Debi is always doing nice things for others. She has a huge heart and is a very special individual. 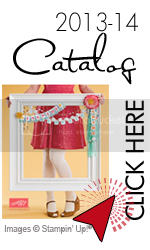 I'm so lucky to have met her at one of my first Stampin'Up classes several years ago. Relationships are what is so special about being a demonstrator. I thank God every day for giving me the ability to be creative and all of the wonderful friendships that have come with being a demonstator.